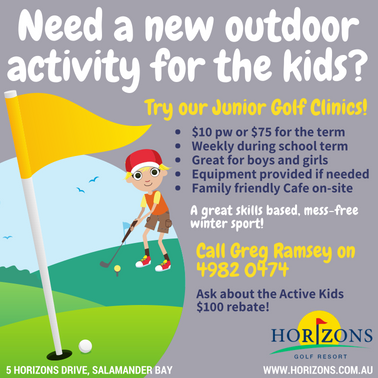 Horizons Golf Resort is a 72 par championship golf course and resort located in Salamander Bay, Port Stephens. We are open to the public 7 days a week. Our Café is open 7 days a week from 8am – 6pm, and our Sunset Bar and Bistro is open on Friday and Saturday nights from 6pm. No experience necessary. All equipment provided or bring your own. 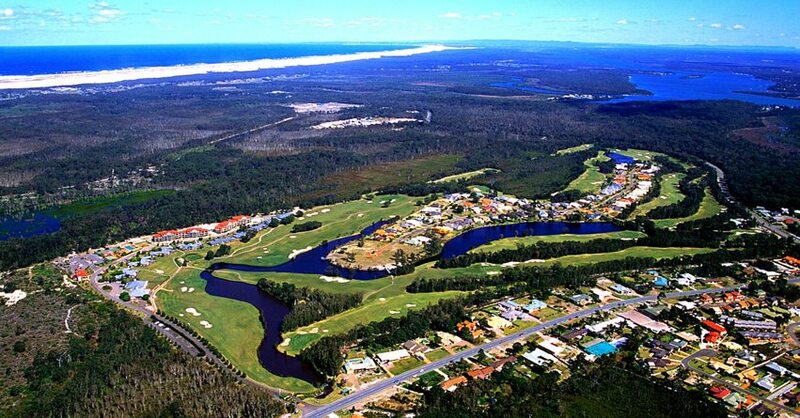 Pacific Dunes is an 18-hole championship golf course and residential golf estate in Port Stephens, New South Wales. 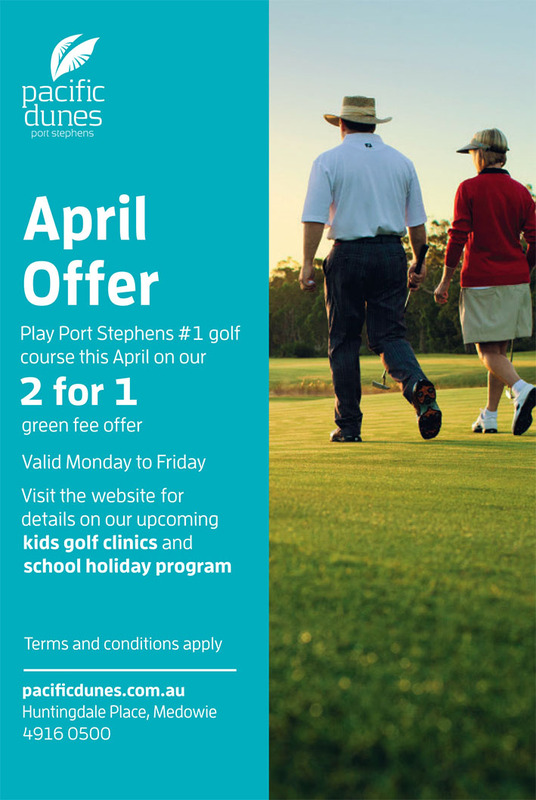 Warm up at our practice putting green or take a lesson with 1 of our 3 PGA Professionals, or jump straight in and test your game on our 18 holes, as long as you don’t mind a challenge. 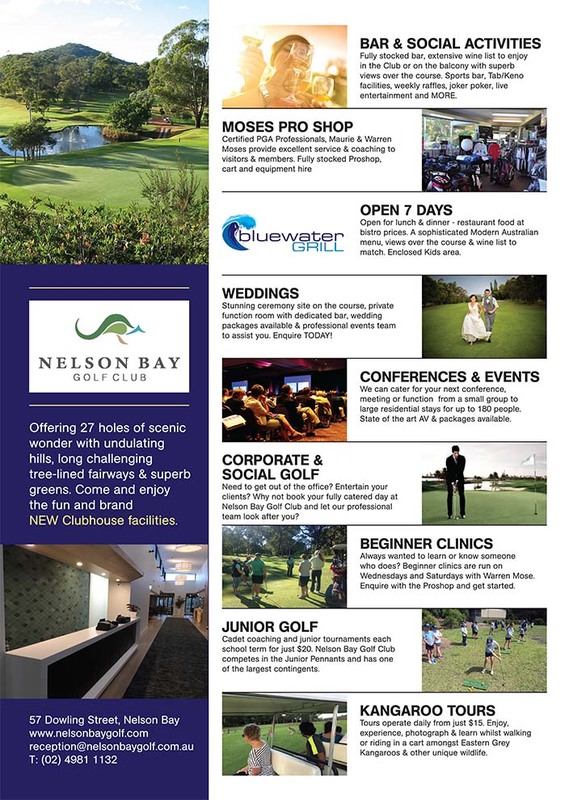 Explore the secure residential estate on one of our many walking trails and envision your new home amongst one of the many architecturally-designed house and land packages. Watch the sun go down over a glass of wine or enjoy a delicious breakfast at the Golf and Country Club, The Greenhouse Eatery, the region’s newest dining and events destination, with fresh, seasonal produce including vegetables and herbs from our own onsite kitchen garden. Visitors, new members and new residents are all welcome. Watch a fly-over of the spectacular Pacific Dunes. Visit us today, open 7 days a week.